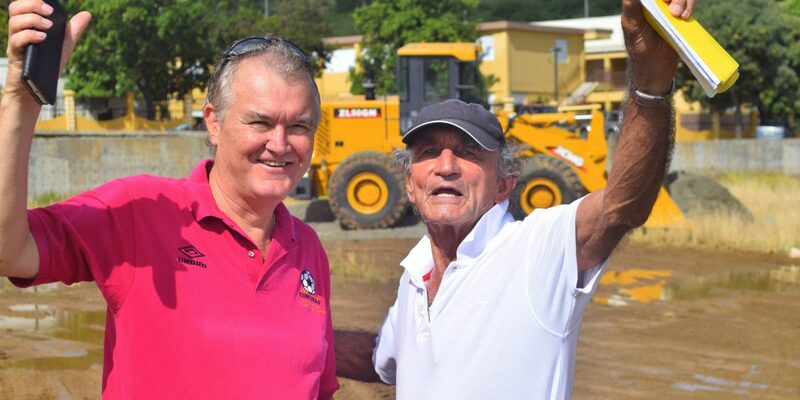 Following an on-site meeting with FIFA Pitch Installation Consultant, Mr. Heribert Hammes, on Tuesday 20th December, 2016, in East End / Long Look, Tortola, F.A. 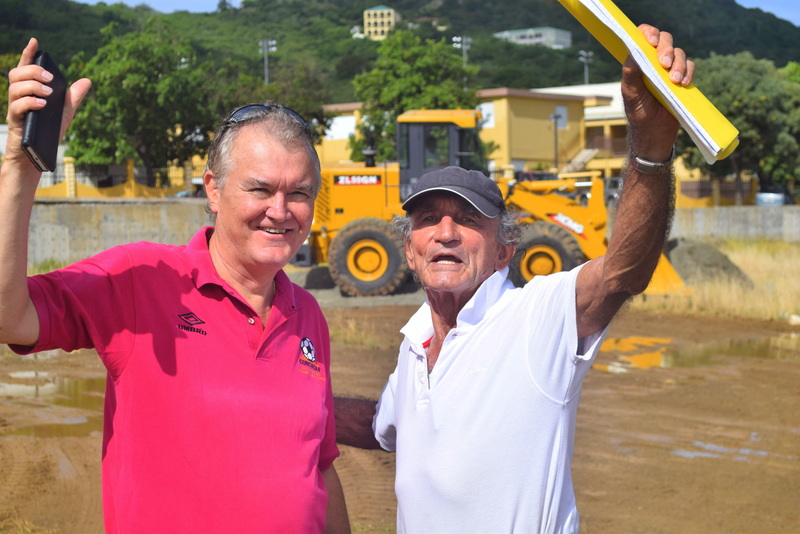 President, Mr. Andy Bickerton, is pleased to announce that after lengthy delays, with FIFA, the New Stadium Project is back on track. “I’m really relieved we have it going again” noted Bickerton “the project manager is here, we are getting estimates in terms of the timing and it seems to be on track for completion for February and it’s just a relief, if the rains hold off, to be heading in the right direction again. Laser grading of the final foundation has begun with a time frame of two weeks to complete and the drainage system will also go in during that process.